Okay, this isn’t exactly a pizza, but this recipe gives you a straightforward, quick and easy way of making something similar enough to one of the dishes people eating Gluten Free miss the most. 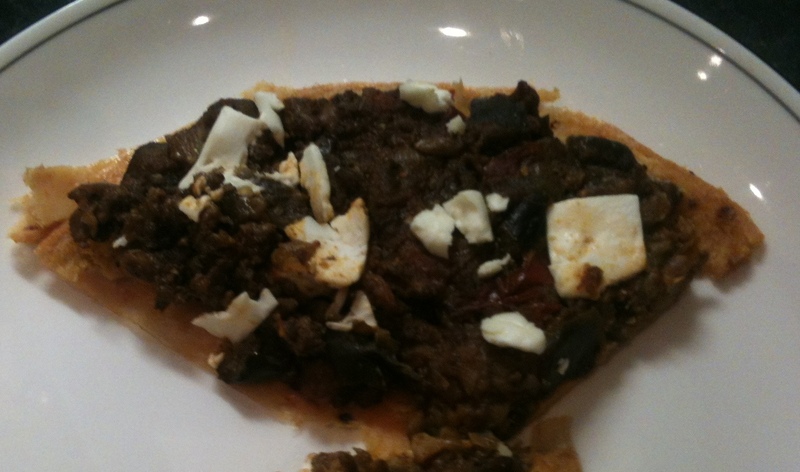 The base is a Socca, an easy to make Chick Pea flour based pancake that you can throw together using just a couple of easy to find ingredients and the topping is a healthy Turkish influenced Aubergine, Mince and Feta dish but you can of course put anything you fancy on the top. Chick Pea Flour is often called Gram Flour and can be find in most larger supermarkets in the UK, usually in the Asian or Ethnic foods aisle. 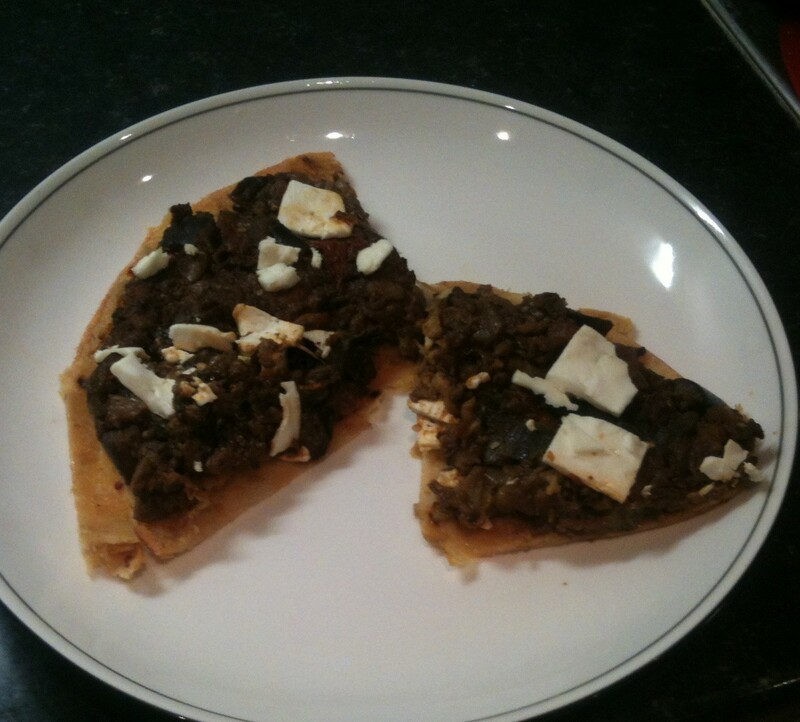 The trick to making this as Pizza like as possible is to ensure that the topping is very dry before you put it onto the base, if it isn’t it will make the base soggy and you may have to use a knife and fork to eat it which, in my eyes, is a no no with Pizza. 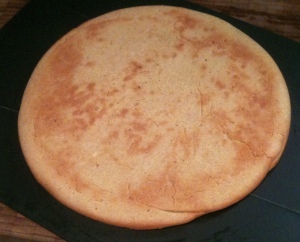 Even if you don’t fancy Pizza it is worth learning how to make a Socca, for anyone on a Gluten Free diet this can be a versatile replacement for all kinds breadlike things you can no longer eat. If you make it quite thin it is great for Fajitas or Burritos and you can also use it to replace Crackers and eat it with Hummus or other dips. 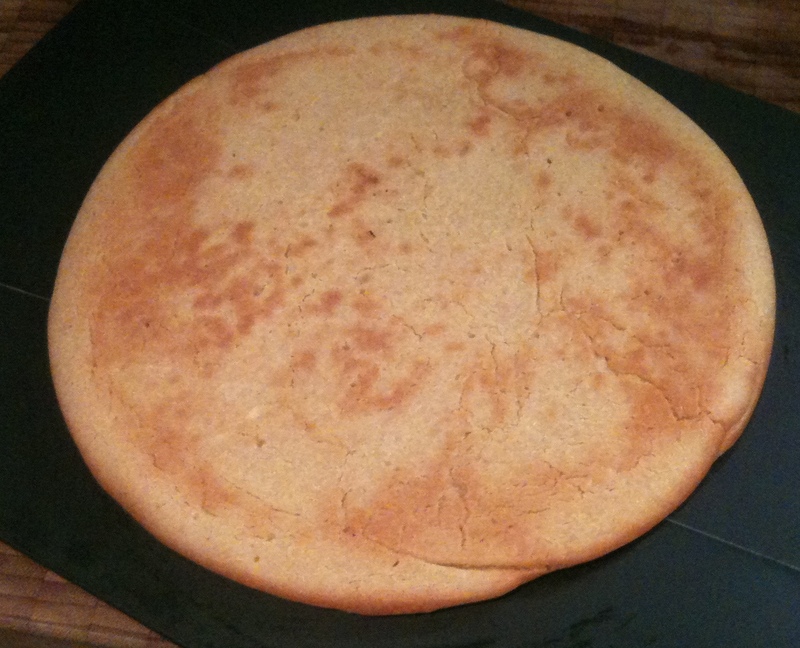 Combine the chickpea flour and salt. Slowly whisk in the water until a smooth batter forms. Set aside for about 20 minutes to rest while you make the filling. Heat 1-2 tbsp oil in a large saucepan. Gently fry the onion for 10 minutes until softened. Add the garlic and fry for 1 minute. Add the mince and fry until it begins to colour. Add the aubergine and combine well in the oily mixture. Cook for 2-3 mins. Add the ground spices and stir well until combined. Add the chopped tomatoes and tomato puree. Stir well and add water or stock. Bring to the boil and simmer for 40 mins. (Add more liquid to prevent the stew from drying out.) If using as a topping for socca, turn up the heat to reduce the liquid. Preheat the oven to 200C/400F/gas mark 6. Add 3 tbsp olive oil, the chilli flakes and rosemary to the batter and stir to combine. Add about 1-2 tbsp olive oil to an ovenproof frying pan. When the oil is sizzling hot, ladle in the batter. Immediately put in the oven and cook for 12 minutes. Top with the lamb mix, crumbled feta and coriander, then return to the oven for 5 minutes. Serve hot. Article posted in Dinner, Recipes on September 15, 2014 by Ray Smith.